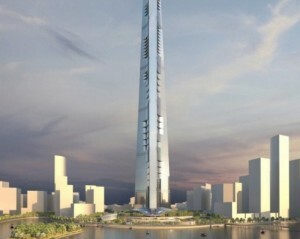 Earlier this month word come out of Chicago—specifically, Adrian Smith + Gordon Gill Architecture—that His Royal Highness Prince Alwaleed Bin Talal Bin Abdulaziz Alsaud, the nephew of Saudi Arabia’s King Abdullah, planned to build the world’s tallest building. 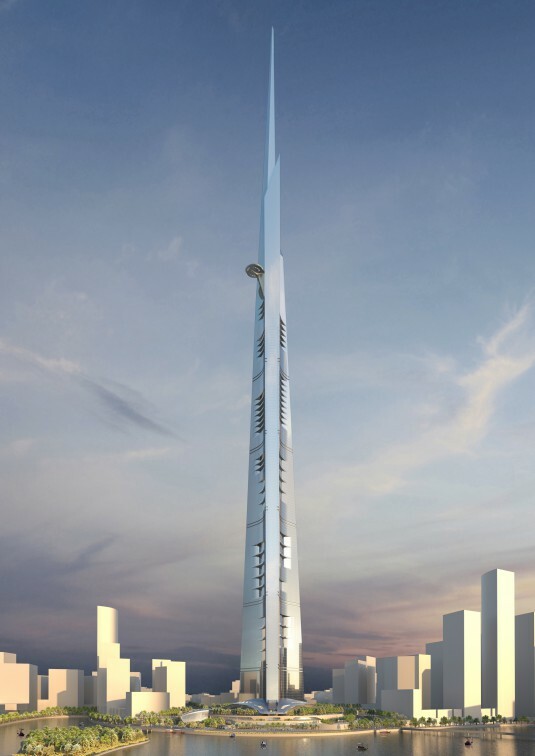 The Kingdom Tower, as it’s called for now, will top out at an almost incomprehensible 3280 feet. How exactly are we supposed to greet this news? Does the world need a 3280-foot tower? Did it need the 2717-foot Burj Khalifa in Dubai, designed by Smith and Gill while at SOM? Of course not: super tall buildings aren’t shaped by profit—upturned boxes and their attached casinos are created for that—they’re shaped by hubris, pride, and aggressive symbolism. The good news: this is an extraordinarily gorgeous rendering. The laws of physics dictate that absurdly tall buildings taper as they reach for the heavens. This presents some wonderful sculptural possibilities; ones that Smith and Gill have taken advantage of here. There’s also something oddly beautiful about super tall buildings, in the abstract: they photograph well, they look awe-inspiring from the window of an airplane, or the front seat of a car headed in from the airport. It’s at street level where the idea loses its romance. They’re great, in other words, until they become real.